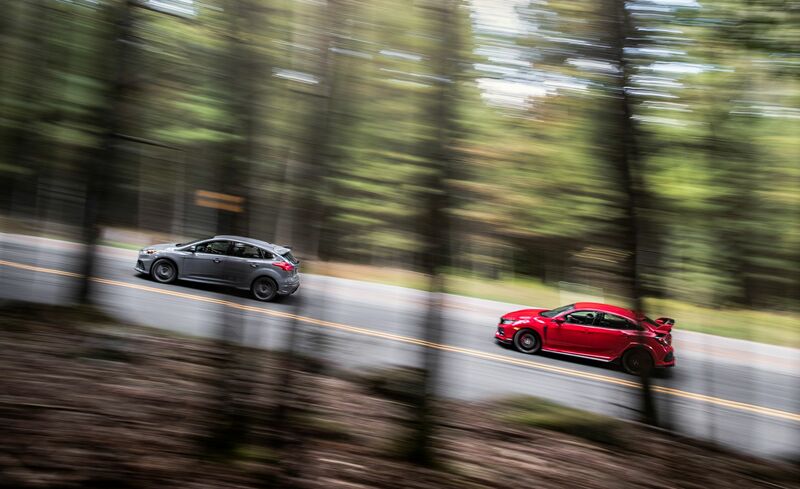 Making power is but one variable in going fast. The upper echelon of performance?occupied by the mega-output Germans, big-muscled Corvettes and Hellcats, and, of course, Italian exotica?now depends on automatic transmissions, launch control, track-bred tires, and often all-wheel drive to generate stupefying performance. 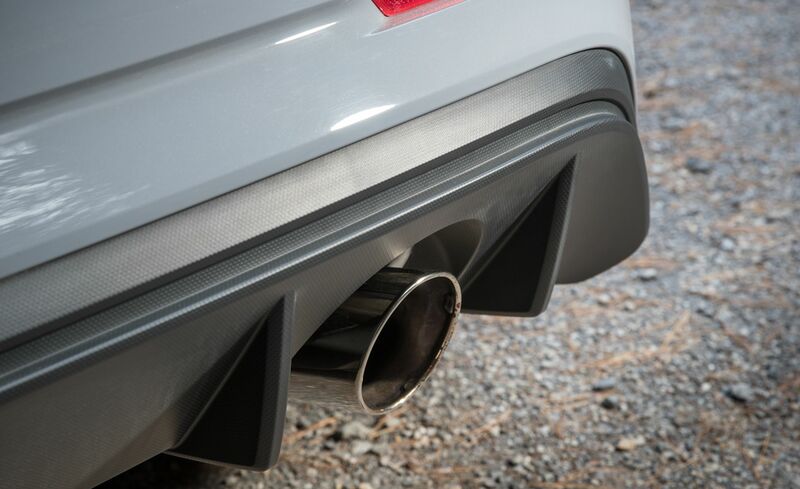 That same phenomenon is just beginning to play out in our beloved hot-hatch segment, a first step on the factory-hot-rod ladder onto which go-fast technology slowly but surely trickles. 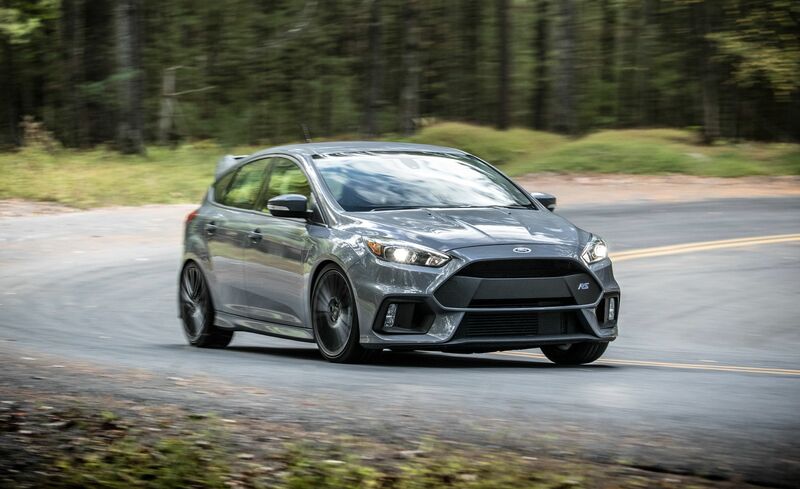 With the spiciest hatchbacks making roughly 300 horsepower, the major players have turned to all-wheel drive to provide some relief to the front tires. 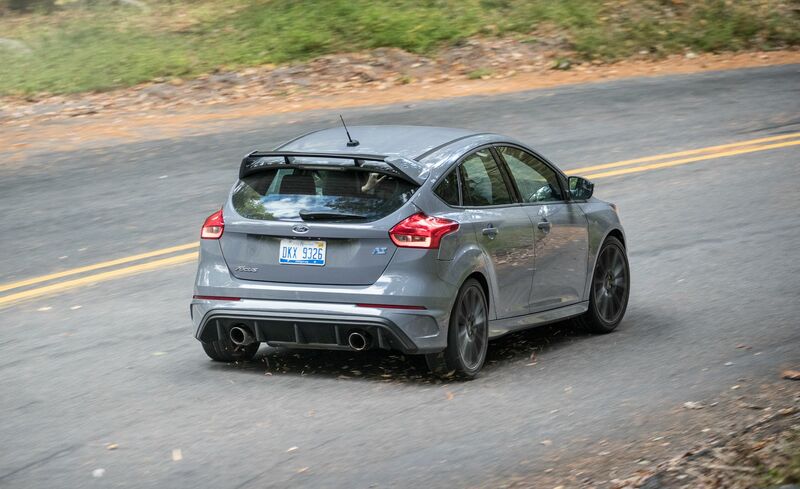 In our May 2016 issue, the Ford Focus RS claimed the belt by defeating the Volkswagen Golf R and the Subaru WRX STI (okay, the Subaru isn?t a hatch, but it should be one). Honda, however, still sees merit in the original front-wheel-drive formula. 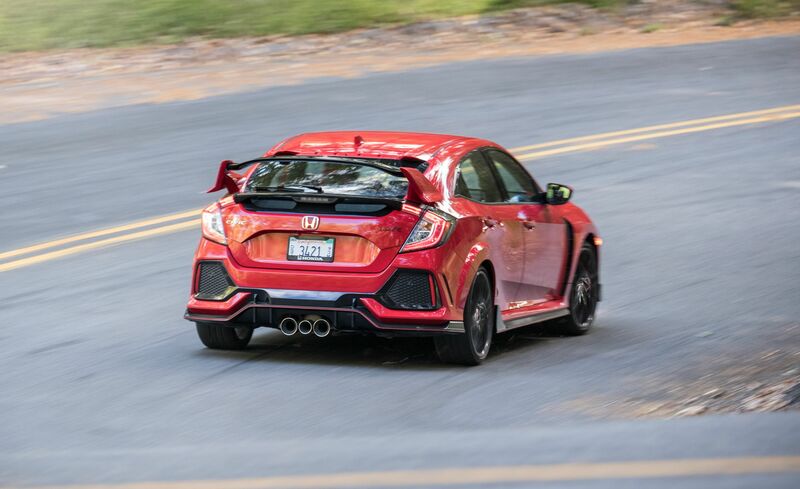 The company?s new Civic Type R, imported to the U.S. for the first time in the nameplate?s 20-year history, suggests that lighter weight and a lower price are enough to offset the straight-line traction advantage of all-wheel drive. 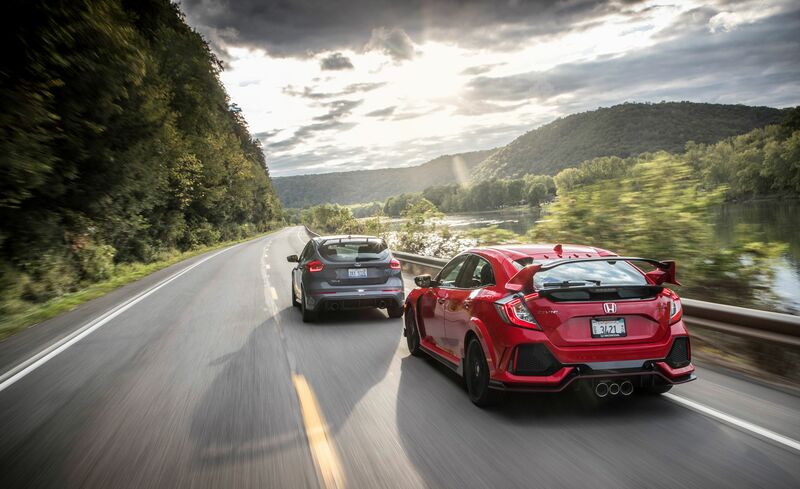 To see if that notion has merit, we?ve pitted the Type R against the reigning champ in a battle of turbocharged four-cylinder hatchbacks. 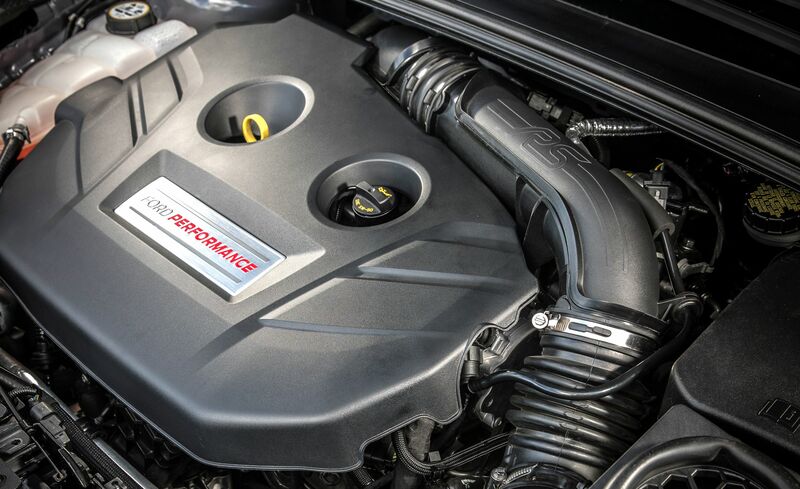 The Honda?s 2.0-liter produces 306 horsepower to the 2.3-liter Ford?s 350. 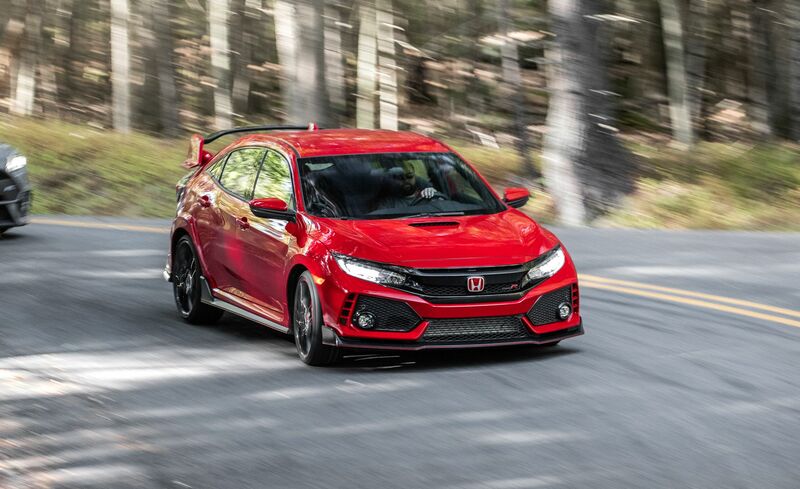 The single-spec Type R goes for $34,775; its equipment list includes satellite radio, a proximity key, and dual-zone climate control. 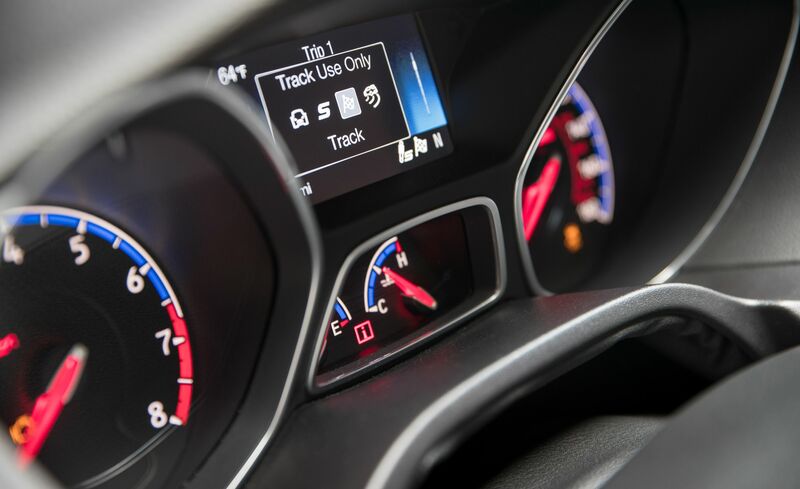 Navigation, audio, and some climate controls run through a standard seven-inch touchscreen, while the only transmission, a six-speed manual, keeps the turbocharged Type R tethered to the analog world. 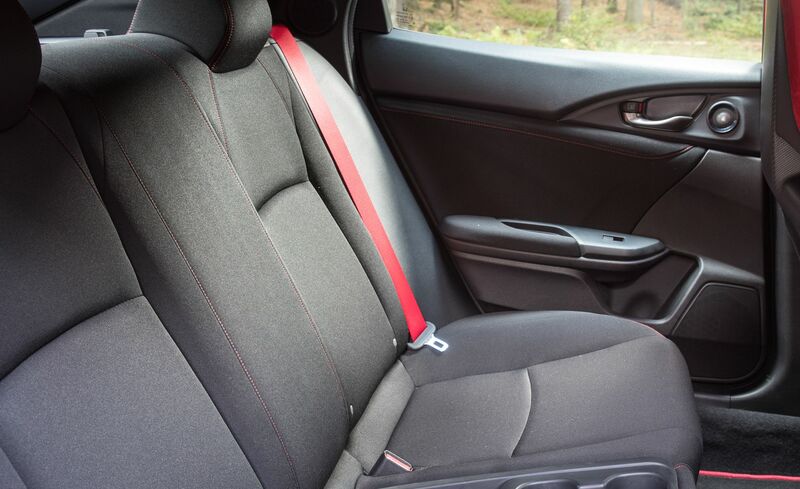 Honda?s Type R adheres to the simpler, original hot-hatch formula with just one modern assist: a rev-matching algorithm that will blip the throttle on downshifts. 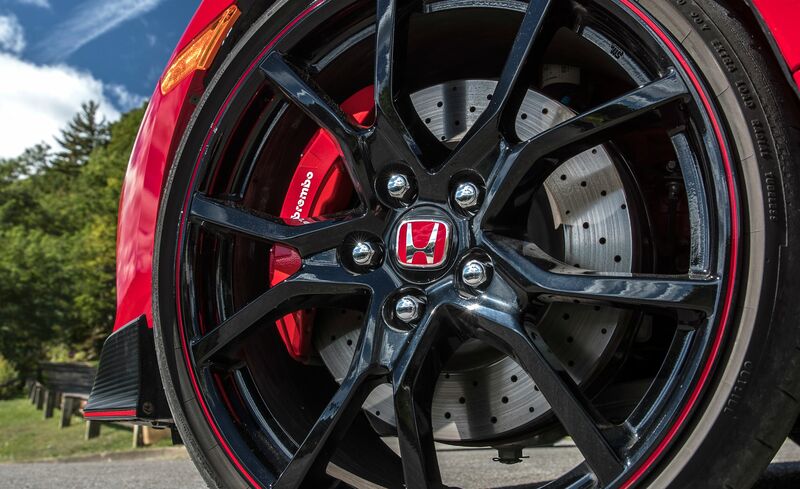 We prefer to turn it off for the challenge and satisfaction of heel-and-toe downshifting. 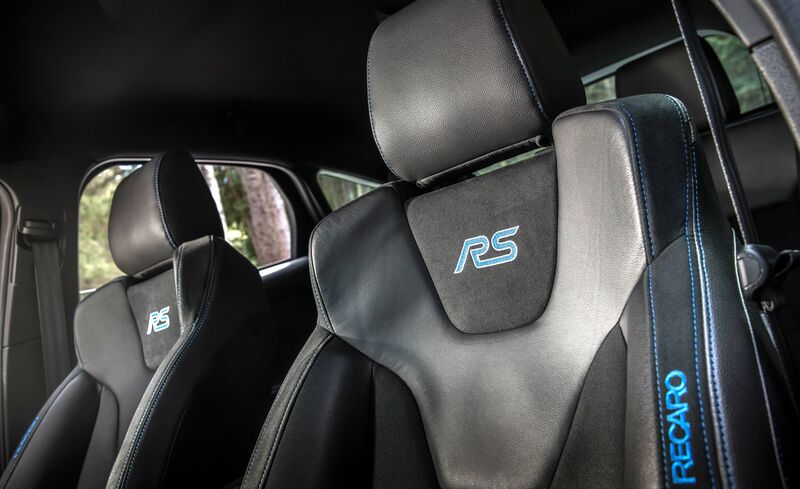 Ford?s Focus RS will soon end its three-year production run with 1500 special-edition 2018 models that add a limited-slip front differential and a black roof among other cosmetic tweaks. Our tester is not that car. 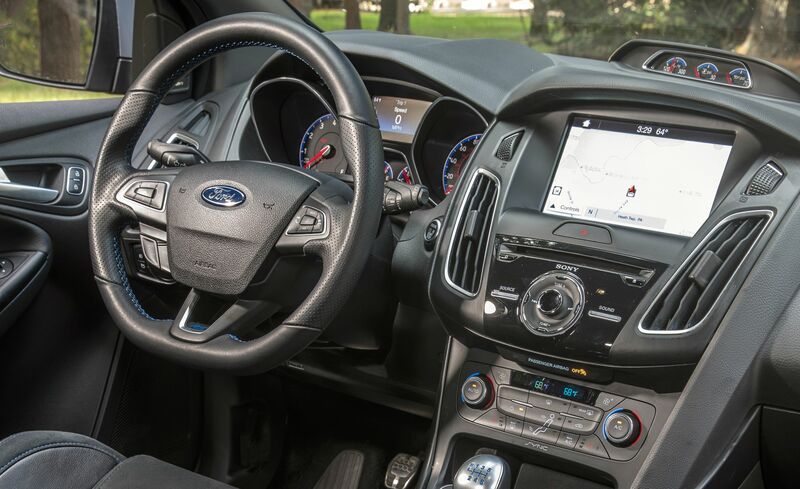 Instead, we have a $36,995 Focus RS with the $2785 RS2 package, which adds heated seats, a heated steering wheel, a power driver?s seat, and navigation. 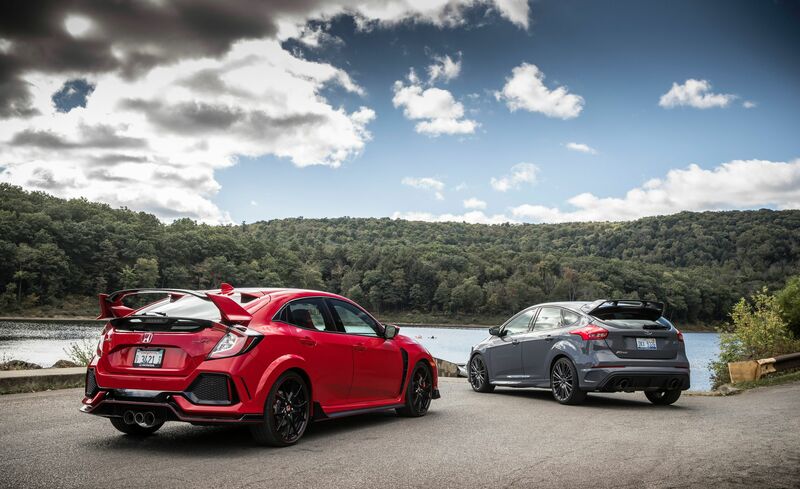 RS buyers can also spend $1990 on Michelin Pilot Sport Cup 2 tires that are best reserved for track use. 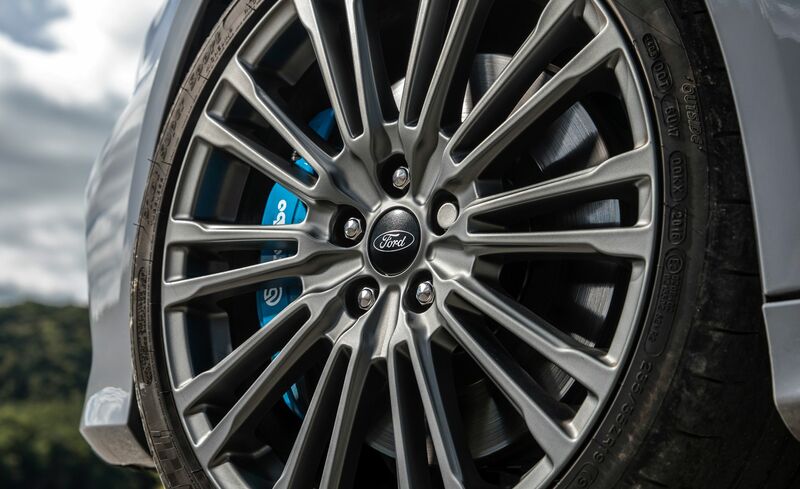 Our comparo contender is shod with the standard street-friendly Michelin Pilot Super Sport rubber. We relocated to Pennsylvania?s Allegheny National Forest?due north of the Westmoreland factory where Volkswagen sparked the hot-hatch movement 34 years ago by building the first GTIs for the United States?to pick a winner, and then struggled to do exactly that.